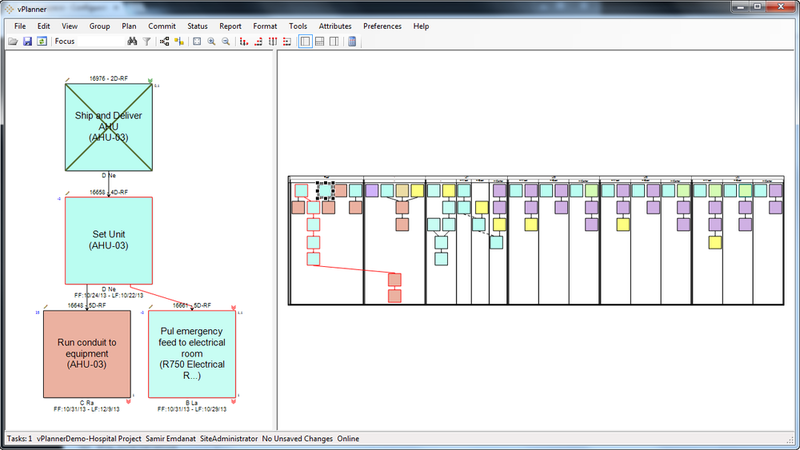 vPlanner includes a highly efficient date calculation engine. Plans with thousands of activities can be processed in almost real time to provide accurate forecast calculations of how the plan is tracking against defined milestone dates. If no milestone dates are defined, vPlanner will calculate the earliest date the work can be completed. If milestones are defined, vPlanner calculates the Last Responsible Moment, the latest date by which the work needs to commence. 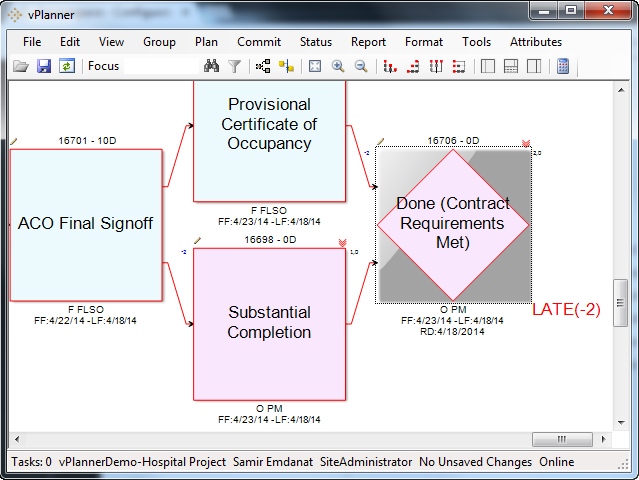 In vPlanner, plans can be created initially without milestone dates. The team can focus on defining the activities, hand-offs and duration of each activity, while vPlanner will help to assign appropriate milestone dates. Once planning is finished, vPlanner will calculate the earliest possible completion date. The required date is the user-defined date for task completion. Only milestones and planning markers can be assigned a required date. These types of tasks can be placed anywhere in the plan – at the start, in the middle or at the end of a workflow – and vPlanner will consider their RDs in its calculations. The Late Finish (or the Last Responsible Moment (LRM) finish) is the calculated finish date for the task based on milestone requirements as defined in the plan. Tasks with no downstream milestones will only have a forecast finish date. The LF dates are used to determine task priority when commitments are made. For each activity that has a calculated LF and FF, vPlanner identifies whether it is early or late and by how many days in either case. 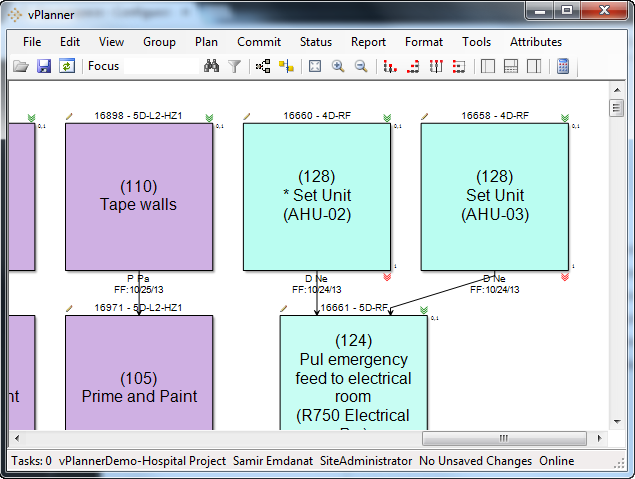 vPlanner provides robust tools to visualize path lengths as well as identify long and late paths. These tools allow the team to focus on re-planning the paths that enable the greatest time gains. The Time Gain Plan is a function of lookahead planning. When plans run late and there are no obvious ways to recover time through re-planning, the Time Gain Plan can be used to identify which tasks should be accelerated. Teams adjust their timeline goals and vPlanner will then calculate the minimum subset of the tasks each week that would gain the most time until these goals are met.